Simply send us your Buyer Need and we will send it to the top Home Builders in the San Antonio Area. 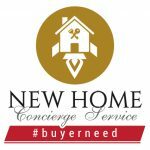 I’m so glad I discovered the Builder Boost Buyer Need Concierge! My client just put a contract on a Pulte Home in The Crossvine. Your service helped a great deal in getting me organized to show properties. The concierge service is so helpful. I can’t event thank you enough! Your resources and services are very helpful. I even have 2 properties that I am previewing today that came from submitting a buyer need request. Thank you!